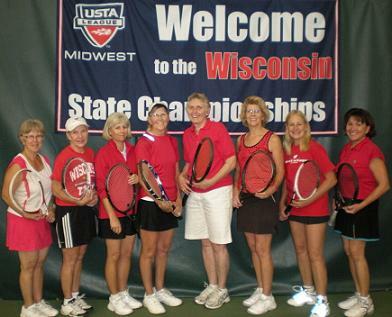 Wisconsin will once again be sending a Women’s Team to the Midwest Senior Championships in Lansing, MI. Be a part of the fun and excitement of this championship event. The Midwest Senior Championship will be held May 18-19. The Women’s tournament age brackets are 35, 45, 50, 55, 60, 65, 70 and 75 and each age bracket has its own tournament. The round robin format uses 8-game pro-set scoring. Winners in each age bracket receive a prize, along with the top district from the Midwest. Join in the fun, competition, and awards banquet. Be a part of the team. Contact Pam Tullberg, Pamela.tullberg@wlc.ed for more information.